Wheat Germ Oil contains natural Vitamin Е, which stimulates the generation of collagen and elastin, the production of new skin, cells and protects from free radicals. It is also rich in phytohormones and germ lecitin, which ensure skin elasticity. 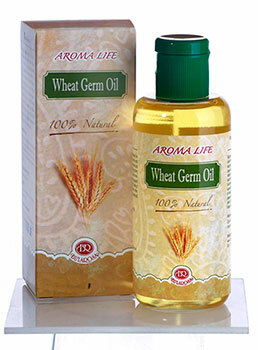 This makes Wheat Germ Oil a natural weapon against skin aging. It is quite suitable for revitalizing the eye contour, flattening wrinkles, and protecting against stretch marks. Nourishes and straightens the skin in depth, giving it elasticity and a soft feel. It is used on its own or mixed with other skin and body massage oils, as well as an additive in face, body, and hair care cosmetic products.